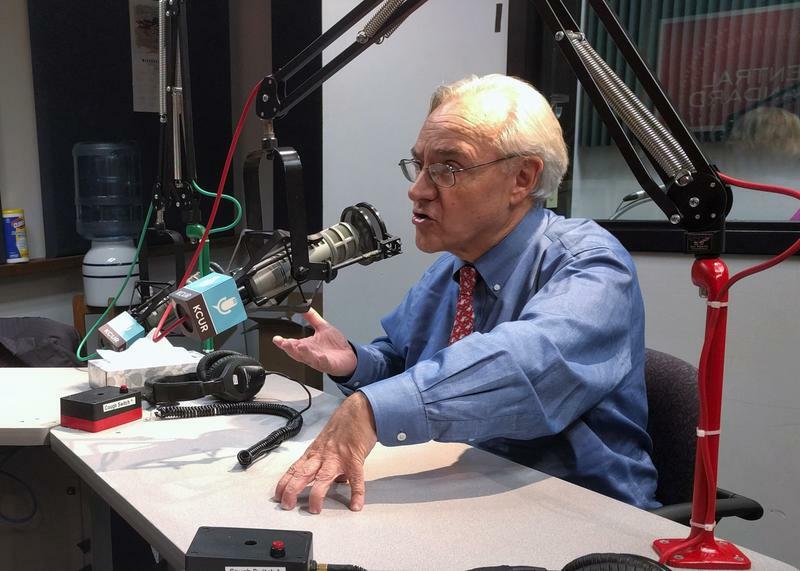 Throughout 2016, KCUR has collaborated with other public radio stations and non-commercial media in Kansas to cover what’s happening across the state. 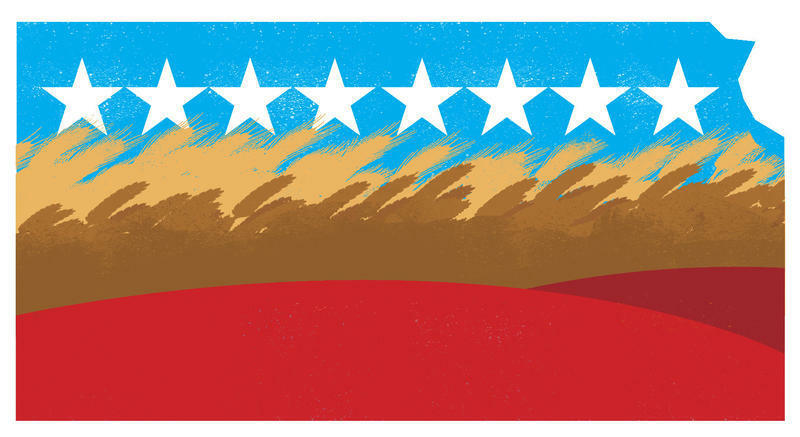 The presidential election has inspired some Kansans to jump into politics themselves, and left others searching for reasons to get behind their party’s nominee. A couple of races for Congress have been particularly competitive in the "Big First" and the 3rd District, and there have been some unusually raucous campaigns over whether the state Supreme Court justices should be kept on the bench. We’ve also been tracking the back-and-forth over voter registration rules. And then there are the dozens of contested races for seats in the Legislature that will determine the state’s direction on school funding, taxes, healthcare and road infrastructure. Still fuzzy on something? Ask away. Last November, nearly two dozen mail-in ballots cast by disabled voters got tossed away in Sedgwick County. Some state officials say local election authorities misread a technicality in state law, and the votes could have been counted. 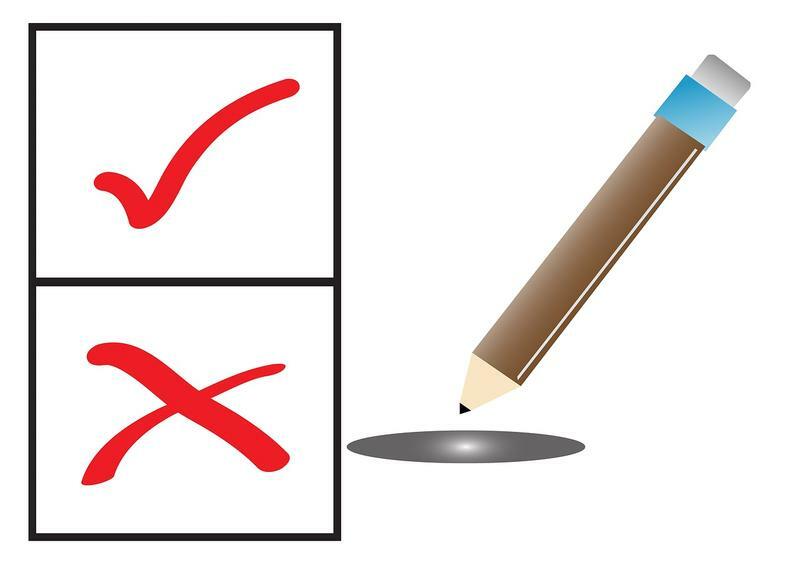 Now Kansas lawmakers are pushing through bills aimed at wiping out any confusion — and making sure that people who have trouble filling out their own ballots can still vote by mail. One bill aiming to clarify the law has passed the Senate. Another measure drew no opposition in a hearing in the House on Monday. 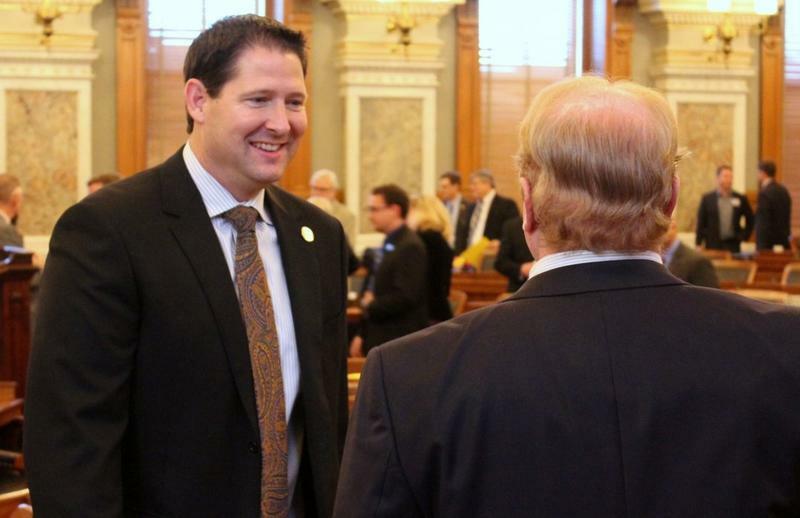 There will be a political shift in the Kansas legislature with the new leaders lawmakers selected Monday. Conservatives will hold on to the very top jobs for 2017, but more moderate Republicans also picked up key positions. There is turnover among some of the Democratic leadership posts too. All the change reflects gains made by moderate Republicans in the August primaries, and gains by Democrats in November, especially in the House. 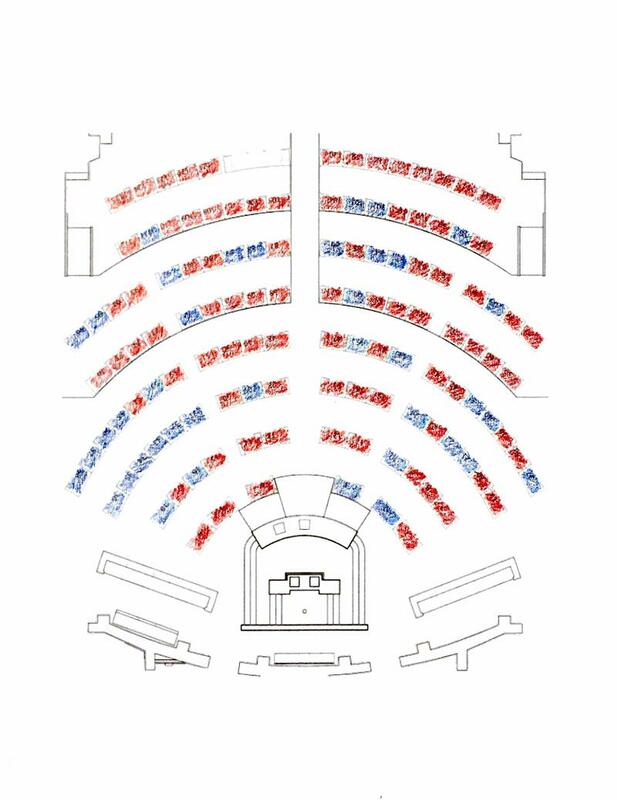 The move to the center on the Senate side is more subtle, but nonetheless notable. “Elections have consequences and this election pretty much showed it’s going to be a fairly blended leadership team,” said Rep. Dan Hawkins, a conservative Republican from Wichita who lost a bid for leadership job. Next Monday, Dec. 5, all the lawmakers elected to the Kansas Legislature will meet in Topeka to nominate new leadership for the 2017 session. Without a doubt, there will be many more Democrats and moderate Republicans in the statehouse this time. Conservative Republicans lost roughly a third of their seats in the just-certified elections. But conservatives will still be the single biggest faction in both the House and the Senate, and so a lot depends on who they back for top posts. Kansas was the birthplace of Prohibition and an epicenter of the anti-abortion movement. 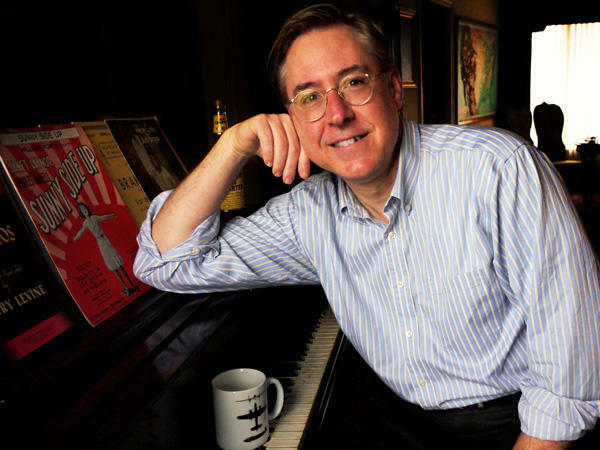 Historian and political analyst Thomas Frank — a Mission Hills native — wrote a whole book, What's the Matter With Kansas, about how politics in the state has been fueled by conservative social ideals. The latest Kansas revenue numbers could make it hard for freshman lawmakers from Johnson County to keep all their campaign promises. On Thursday, state officials lowered the forecast for future tax collection once again. It’s expected Kansas will come up $350 million short this fiscal year, and $600 million next. And instead of acting now to balance the budget, Republican Gov. 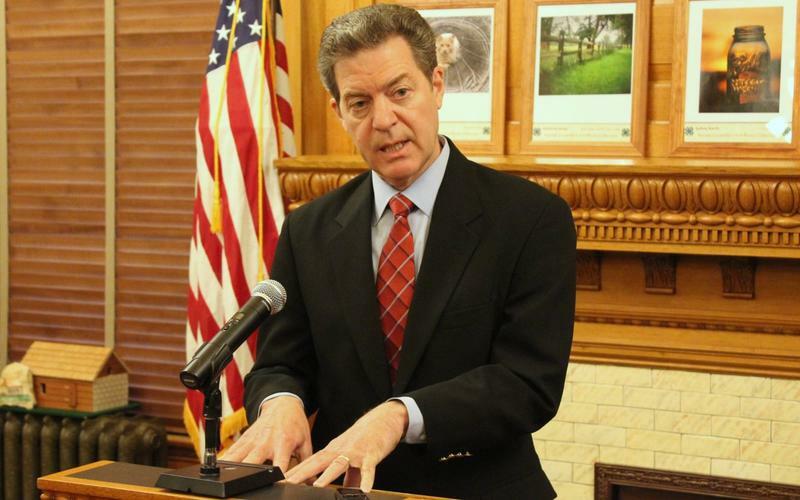 Sam Brownback is passing the buck to state lawmakers. 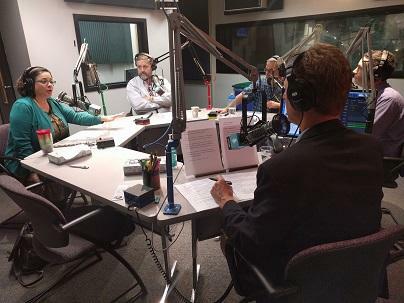 On this week's episode of Statehouse Blend Kansas and Statehouse Blend Missouri, hosts Brian Ellison and Sam Zeff talk with KCUR's Peggy Lowe and Amy Jeffries about the future of the Kansas and Missouri Statehouses going forward after the 2016 elections. Republican Donald Trump won the electoral vote in both Kansas and Missouri. Rural counties showed the greatest support for Trump. 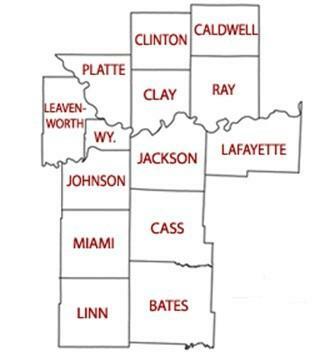 Here's a look at the vote percentages for the leading candidates for president in the 14 counties that make up the Kansas City Metropolitan Statistical Area (MSA). An MSA is a geographic region with an urban core and close economic ties throughout the area, as defined by the U.S. Office of Management and Budget. 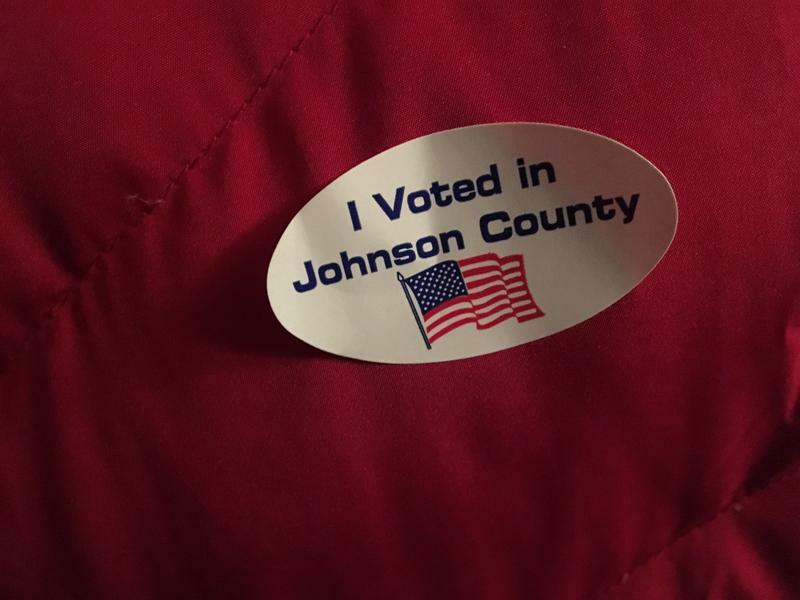 Editor’s note: This story was updated at 10 a.m. Nov. 9 with results from Johnson County. Democrats gained enough Kansas House seats in Tuesday’s election to form a coalition with moderate Republicans to pass or block right-wing legislation. But any such coalition will be more tenuous in the Senate after Democrats gained just one seat there. Gov. Sam Brownback and conservative Republican allies have controlled the legislative agenda since moderate GOP leaders were purged from the Senate in 2012. A “huge influx” of advance mail ballots and voters newly registering or changing their registration before the election combined to delay the county’s election results until early Wednesday afternoon, Johnson County Election Commissioner Ronnie Metsker said. 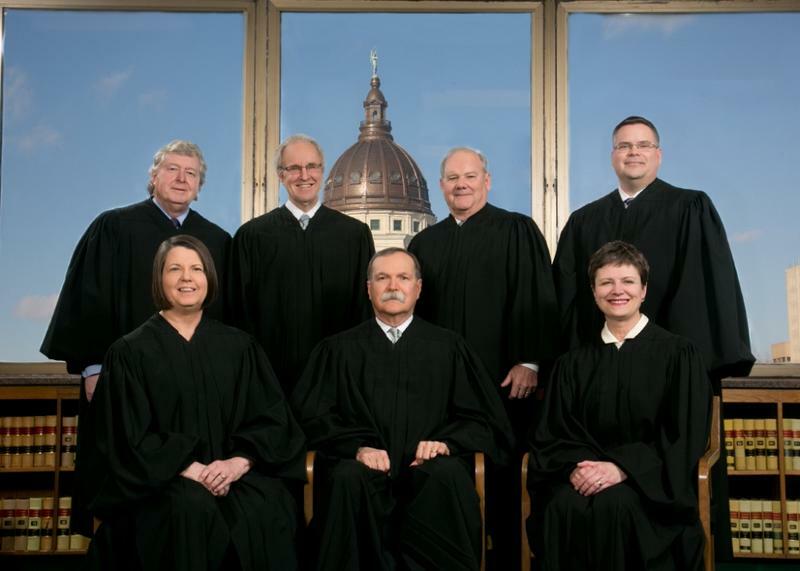 After roughly a million dollars in TV and radio ads plus a blizzard of postcards, the Kansas Supreme Court didn't change one bit with Tuesday's elections. With a majority of precincts reporting, all four of the justices who had been targeted by the Republican Party, Kansans for Life and other conservative groups comfortably won retention. On this special elections episode of Statehouse Blend Kansas and Statehouse Blend Missouri, hosts Sam Zeff and Brian Ellison discuss results and us give an idea of where things stand in Kansas and Missouri. Below are the results for a selection of contested races and measures in the Kansas general election. You can find full results at the secretary of state's website. 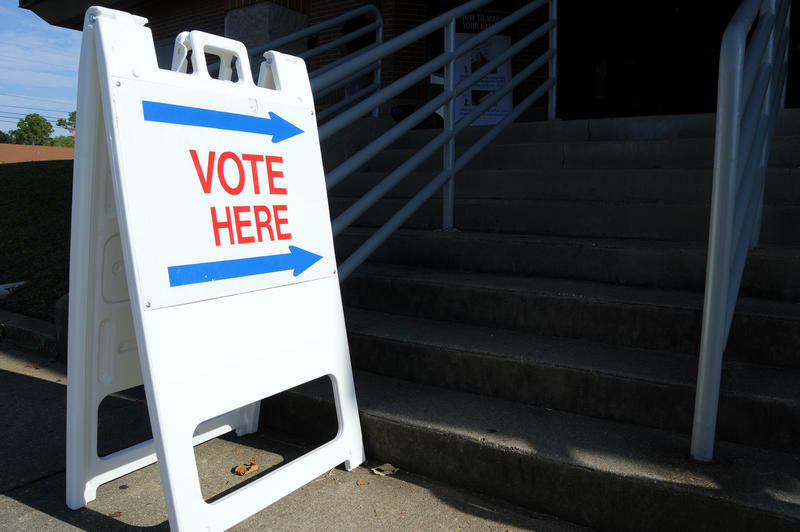 On this Election Day, we hear from listeners about their experiences at the polls. Then, learn how Electionland is bringing together a team of media outlets, including KCUR, in a collaborative effort to inform you on the latest voting issues and problems. At the end of the balloting today, the complexion of both the Kansas Legislature and the state’s highest court could be radically different. There’s less suspense about the top of the ticket, at least as far as Kansas goes. Unlike the razor thin margins in some presidential battleground states, polls show Republican Donald Trump well ahead of Democrat Hillary Clinton in the reliably-red Sunflower State. It’s a campaign without ads. There are no TV spots or mailers. The only people voting are the 165 Kansas lawmakers choosing their new leaders. “Leadership races are the most inside of inside baseball,” says University of Kansas political scientist Burdett Loomis. Loomis says you almost have to be a legislative nerd to have heard of the candidates for Kansas House speaker or Senate president, but they get to make committee assignments and control the chamber. 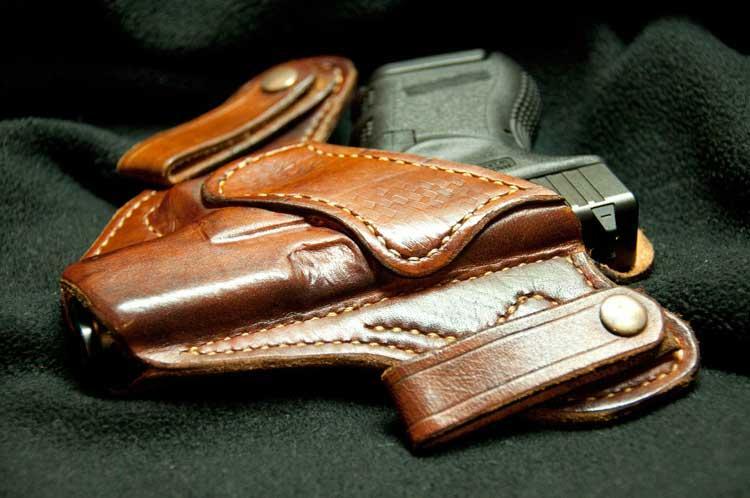 Elections Question: Could The New Kansas Legislature Repeal Campus Concealed Carry? One outcome of the 2016 elections that we know already: the make-up of the Kansas Legislature will be different. Is it possible that Kansas will elect enough moderates to reverse the open carry gun policies in KS, especially on college campuses? Would Brownback veto such a measure? 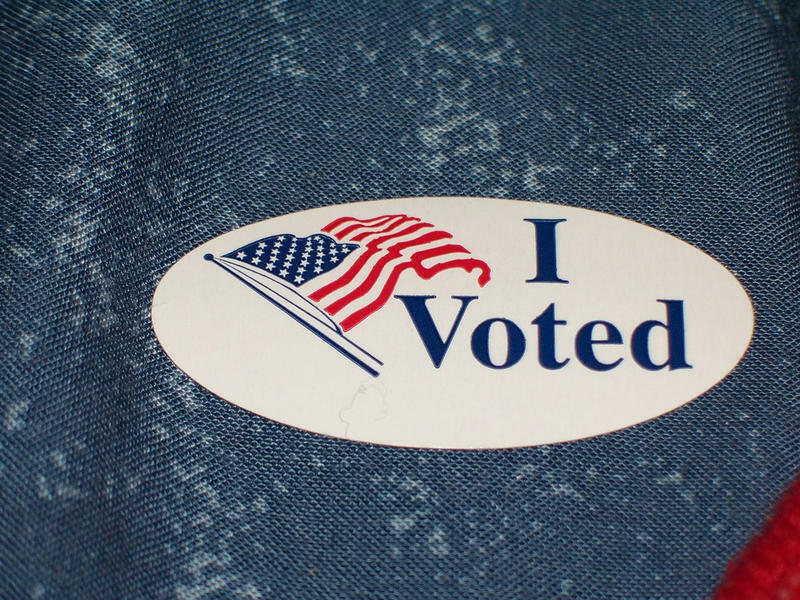 Elections Question: Who's On My Kansas Ballot? Where Do They Stand? As Election Day closes in, it's time to get down to brass tacks. Our collaborative team covering elections in Kansas has been answering your questions, big and small. New campaign finance reports are calling into question Republican Gov. Sam Brownback’s insistence that he’s not involved in an effort to oust several Kansas Supreme Court justices. Reports filed this week show that Brownback’s Road Map PAC contributed $65,000 to Kansans for Life in September and October, bringing the total since the first of the year to $110,300. 1. What’s my registration status? It doesn’t hurt to check before you go. The number of registered voters in Kansas has risen by more than 40,000 since the 2012 presidential election, according the Secretary of State’s office. But it’s a different story in Wyandotte County. Even though the population of the big county in the Kansas City metro is growing, voter registrations are down by around 4,000 from four years ago. In the days before the Oct. 18 registration deadline, a few volunteers were working to change that. 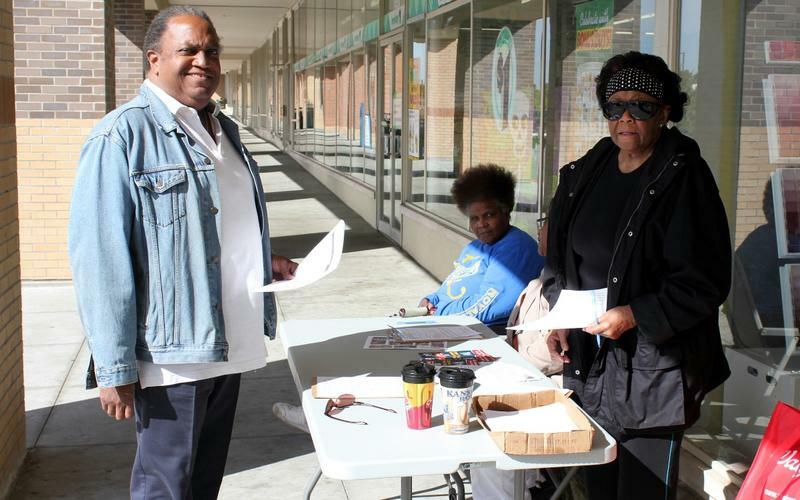 They had unfolded a table in front of a Dollar Tree store to register voters in Kansas City, Kansas. 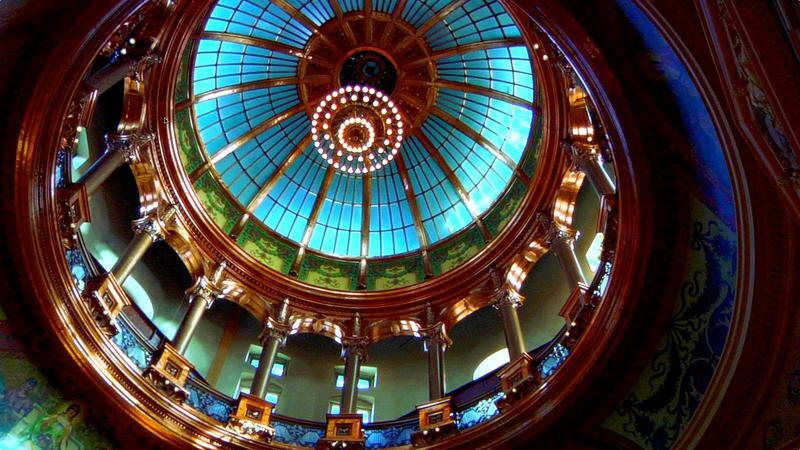 Education political action committees in Kansas are spreading around tens of thousands of dollars to help both conservative and moderate legislative candidates. 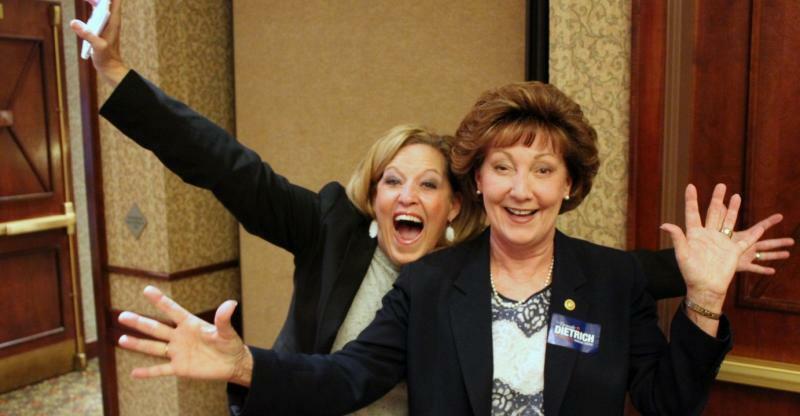 There are two big education political action committees in Kansas and they back very different candidates. The Kansas NEA PAC is funded by contributions solicited by the union and in the last reporting period made about $29,000 in campaign contributions and spent $12,400 on polling. Out on the campaign trail, there are a couple of competing narratives about what’s going on with the Kansas budget. Both acknowledge that plummeting revenues have delayed road projects, increased the state’s bond debt and forced cuts in higher education, healthcare and safety net programs for poor Kansans. But that’s where the stories diverge. Moderate Republicans and Democrats running for the Legislature are blaming the 2012 income tax cuts championed by Governor Sam Brownback for crashing the state budget. On this week's episode of Statehouse Blend Kansas, Rep. Russell Jennings (R-Lakin) discusses the 2016 election, guns on college campuses, education funding, and his campaign for speaker of the house. Elections Question: Why Do Kansans Vote Against Their Economic Interests? The statewide team that's collaborating to cover elections in Kansas this year is taking your questions. One question that seems to come up almost every election season, is why people sometimes vote against their own best interests — specifically their economic interests. Nobody saw this coming. A Kansas congressional race so big that President Obama has weighed in with his endorsement of the Democrat. But such is the unexpectedly tight race for the 3rd Congressional District. Here’s the thing about the race between incumbent Republican Rep. Kevin Yoder and Democrat Jay Sidie: it feels like a race for state legislature rather than a run for Congress. In what turned out to be his last big speech as a presidential candidate, Bernie Sanders called on his supporters to run for office. By then, one political newcomer from Derby, just outside of Wichita, had already filed to run for the Kansas Senate. 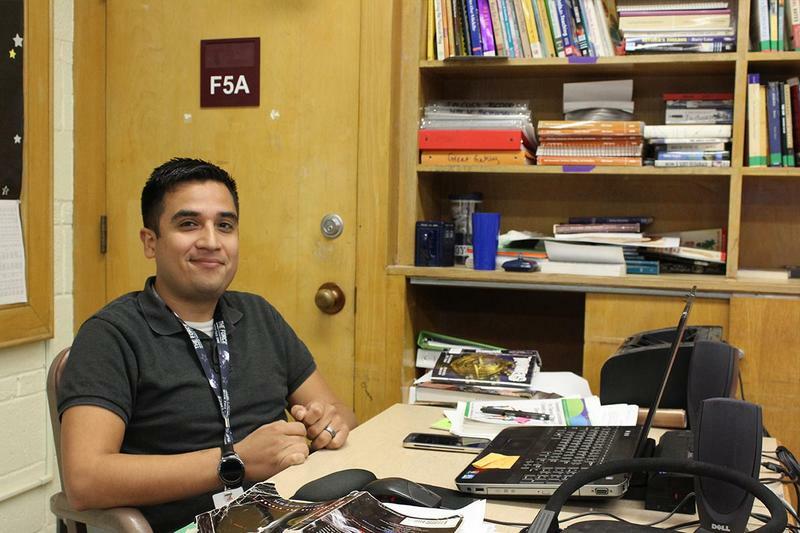 Gabriel Costilla had never thought about running for office. But, inspired by Sanders’ campaign, the Wichita high school teacher announced he would take on two-term Republican state Sen. Ty Masterson in the District 16 race. Updated, 10:20 a.m. Monday: The timeline has been updated to include additional documentation from the Secretary of State's Office regarding the language printed on DMV receipts in July. 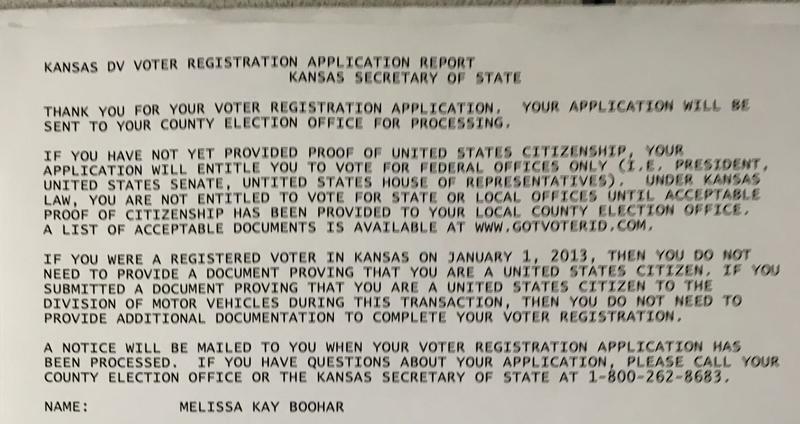 Despite a court order clearing the way for them to vote this November, Kansans who registered at the Department of Motor Vehicles were still being told they would need to provide proof of citizenship up until an Oct. 18 deadline. 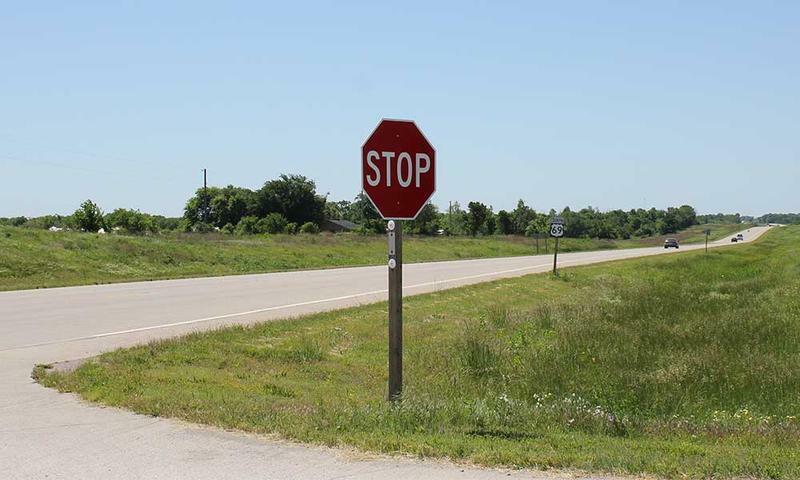 The Kansas Department of Transportation opened bids Wednesday on a highway project that is key to legislative races in southeast Kansas. The project would expand U.S. Highway 69 from two lanes to four between Kansas City and Pittsburg — something residents of that part of southeast Kansas say is essential for safe movement of people and goods.